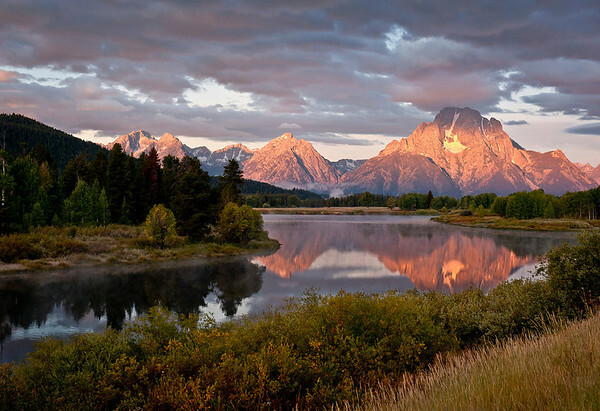 The Grant Tetons' are a diverse landscape, and part of our national park system was set aside because of its incredible natural beauty, and its open and accessible to all of us. These lands and the wildlife that live on them are also fragile. This requires a responsibility by those of us who visit it to experience the parks in the same spirit in which they were created: a spirit of care, appreciation, and consideration for the next person and the next generation so that they too will see what we have seen. Remember this is the home of a lot of wildlife that cannot live anywhere but here least they become extinct. Respect the fact that this is their home and we are just guest for a Moment, a Memory, and a Time.